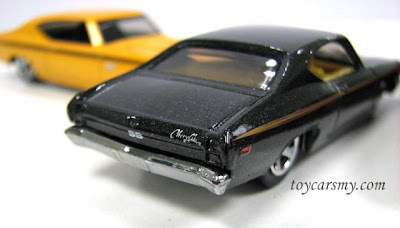 The '69 Chevelle SS 396 debut in the 2008 New Models, the casting name based on the actual production car. Phil Riehlman designed the model, total 4 colours in the 2008 release. From here, I still missing the silver to complete the colour variation. The Chevelle powered by v8 396 cid, delivers 375 Horsepower 0 to hundred in 6.5 second. 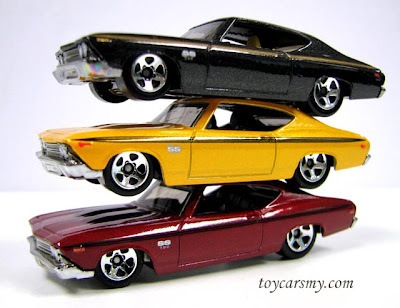 It is pretty amazing for the muscle car in the late 60s. 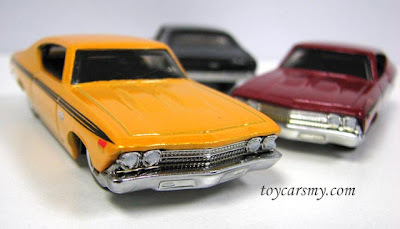 I like: Proper proportion to the actual car, nicely done all rounded. I dislike: Should have the blue colour with racing stripe cut through the hood. Please consider this in the coming line-up! 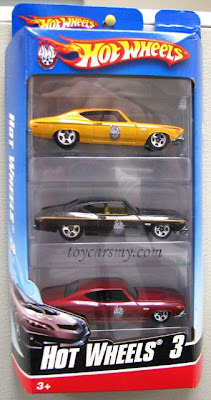 Verdict: Many have passed this model, I think is understandable for Asian collectors.